When developers move beyond building simple web sites or small applications, things get complicated. Managing data gets messy, handling browser incompatibilities takes time, juggling competing user interactions and integrating the work of multiple developers gets tricky. The Angular framework handles these common problems, making it ideal for writing large-scale web applications that can be maintained, extended, and tested. Because it's popular, it offers a well-supported code base, vibrant community, and rich ecosystem. Best of all, Angular emphasizes performance and focuses on mobile apps by being compact and memory efficient. 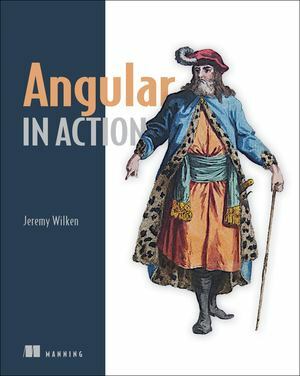 Angular in Action teaches readers modern application development with Angular. It begins with the basics, such as key features of TypeScript, newer ES6 syntax and concepts, and details about the tools needed to write professional Angular applications. Next, readers learn how to build an Angular application from scratch. Using many examples, the book teaches the core parts of Angular, such as Components, the Router, and Services. It also covers techniques like server-side rendering and incrementally adding Angular to existing Angular applications. Finally, if offers insight into advanced skills, such as testing, tooling options, and performance tuning. Purchase of the print book includes a free eBook in PDF, Kindle, and ePub formats from Manning Publications.